Scary Monsters Gear & T-Shirts! 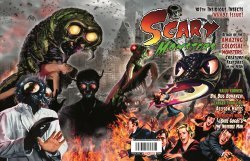 Attention Retailers: Make Issue #107 of Scary Monsters Magazine available to your customers! To Order: Select your desired quantity of copies of the current issue at the drop-down menu above. Interested in advertising your products or services in our magazines? Click Here!